is just perfect for today since it is the first real day of the season! 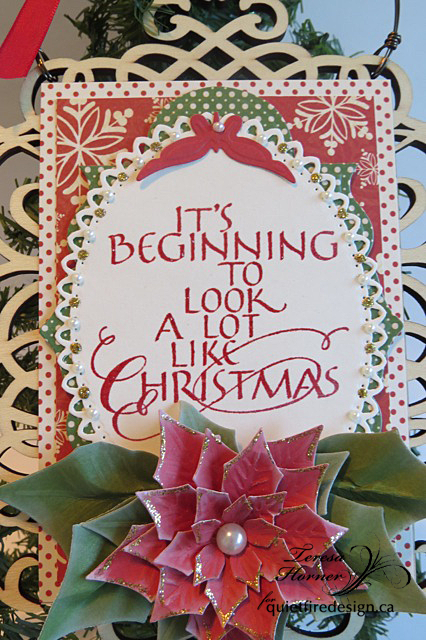 my local craft store and the new "It's beginning to look alot like Christmas"
Spellbinders to create the flower and do the Lacey label that i stamped on. fun to make as i played Christmas songs to get me in the spirit a few days ago! Here is a photo of the new stamp set and the link for you. have a fun day out shopping today!! The "secret"of this card is layering. 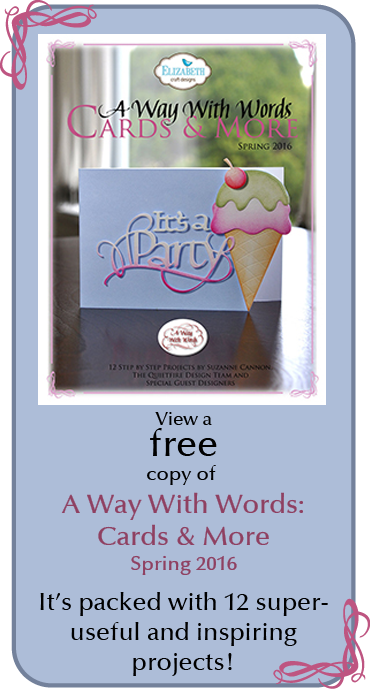 Use a die with an intrigate design and layer using accenting colors and metal cardstock....it's that easy! 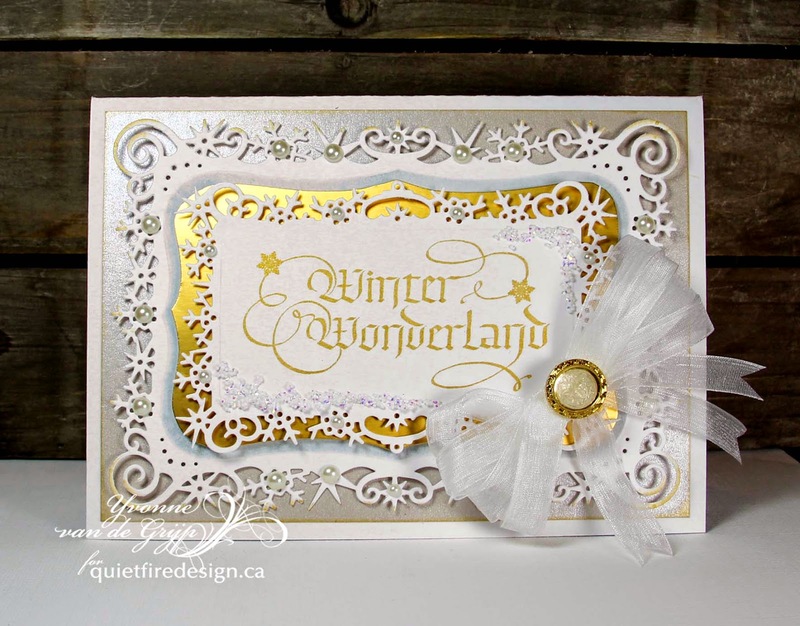 Simply put the largest Snowflake View die upon gold metallic paper. score the inside line using an embossing tool. Cut out this scored label about 1/8 " smaller than the scored line using scissors. The card measures 7½"x 5½". I hope you like the card and idea. As always I'm looking forward to your comments. 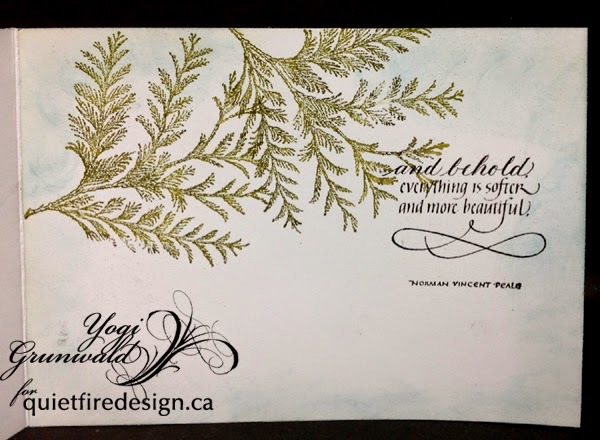 I'm sure you saw the gorgeous card Yogi shared yesterday on this blog! That made me think it was a perfect time for this giveaway! 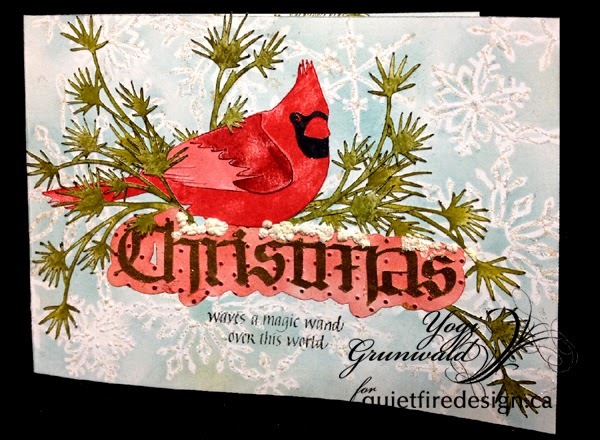 If you're a "cutter" and you win the download card, you'll be able to buy this Cardinal Christmas cutting file if you wish! 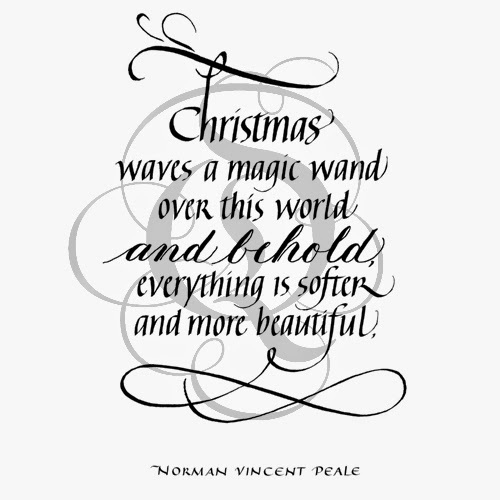 If you're a stamper, you may choose the stamp Christmas Waves a Magic Wand. One or the other! Not both! Simply follow the Rafflecopter instructions and enter to win! Good luck! Side folded my white cardstock (7"w x 5"h). Since I'm using an 8.5 x 11" piece of cardstock, I had to splice another piece to the inside... (which I did after doing the stamping and coloring). I ungrouped the elements in the Studio file, cut them, adding a few more sprigs of pine and also cutting a shadow layer for the sentiment (offset function). Colored the branches while on the mat using Distress mini pads "Forest Moss" and then some "Crushed Olive". For the Cardinal, applied various Distress reds direct to paper, then a bit of sponging. Glued the elements together. 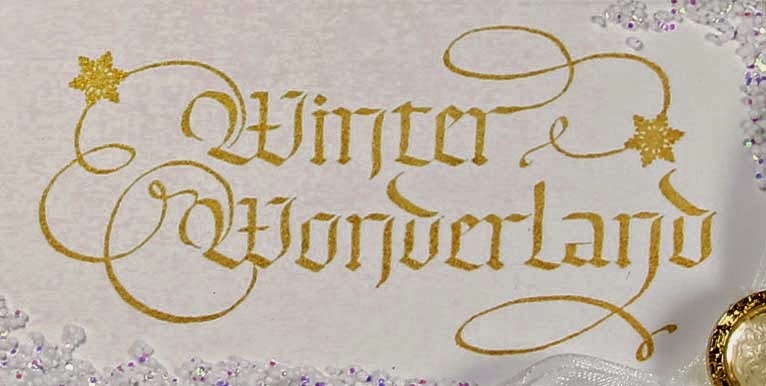 Applied Versafine "Toffee" to the word and embossed with "Queen's Gold" embossing powder. Sponged "Worn Lipstick" to the shadow layer, then ran through my embossing machine with Cuttlebug "Swiss Dots", hit the high points with "Aged Mahogany", Adhered both layers together. 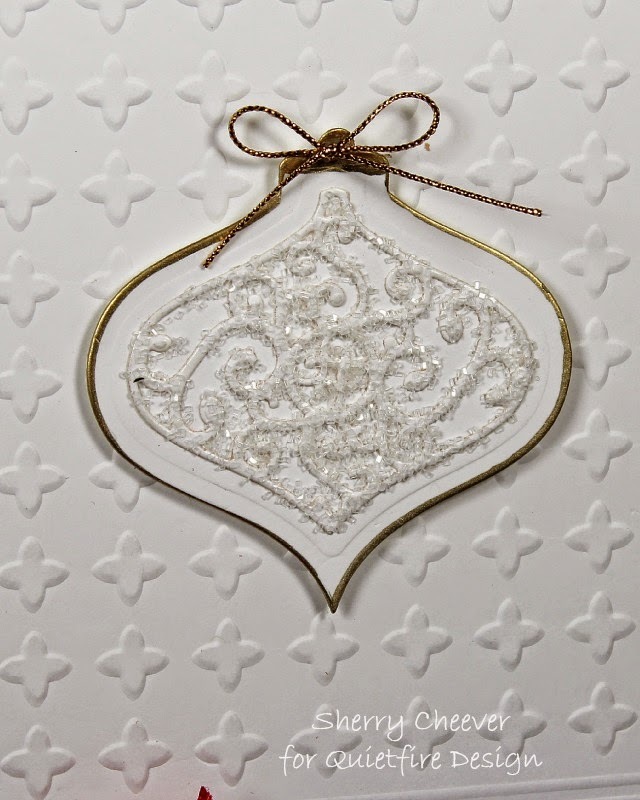 On the front of the card, used a Memory Box "Snowflake Flurries" stencil which I lightly sprayed with Krylon "Easy Tac" (to keep my stencil in place) and sponged "Tumbled Glass". Moved the stencil as needed. Adhered my eCut elements, over and under lapping. Masked off the top and bottom of the quote (Christmas Waves a Magic...) with masking tape and inked with Versafine Black Onyx, removed masking and stamped. Added dots of Marvy "Puffy Velvet" white and heat activated to mimic snow. 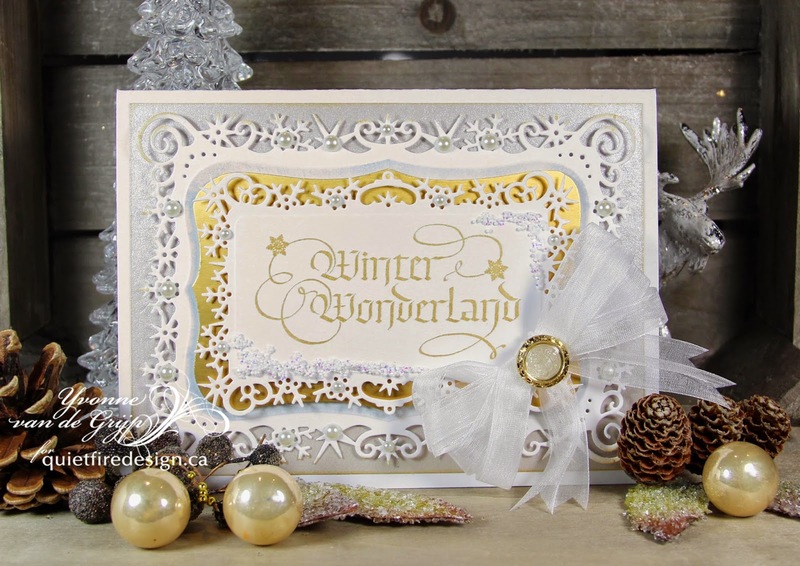 As a final touch, put lines of Quickie Glue on the stenciled snowflakes and sprinkled with Stickles "Star Dust" glitter. 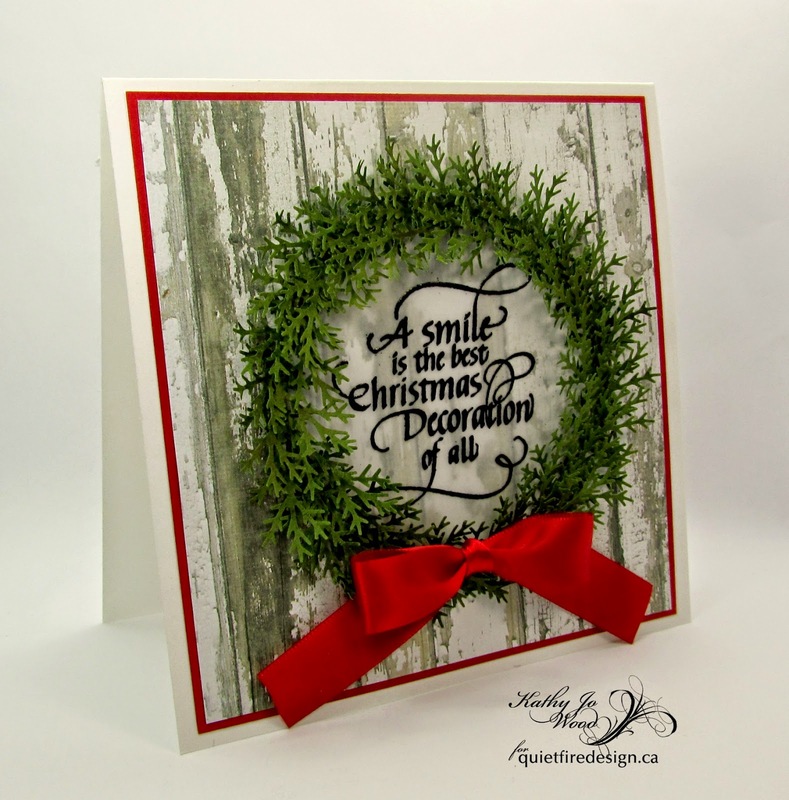 On the inside stamped the pine boughs (Old Island Rubber) using the Moss & Olive, misting with water and stamping. Repeated for the 2nd bough. Then stamped the bottom of the quote, masking the top section and using the black. If You Don't Believe in Miracles Holiday Card! Good morning! 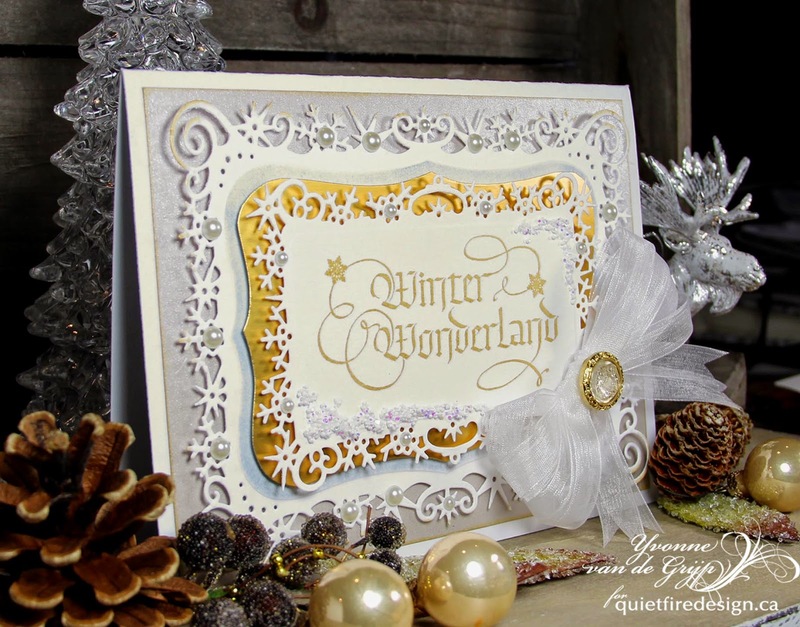 Sherry here today and I have a Christmas card to share using Quietfire’s set, If You Don’t Believe in Miracles. 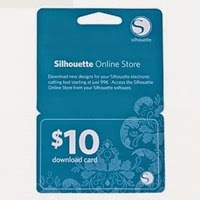 The card measures 4-1/4 x 7” and has minimal layers . . . which with a piece of extra card stock on top, could be mailed easily. The top half of the background for the card was embossed and then double lines were scored beneath the embossing and again at the bottom. 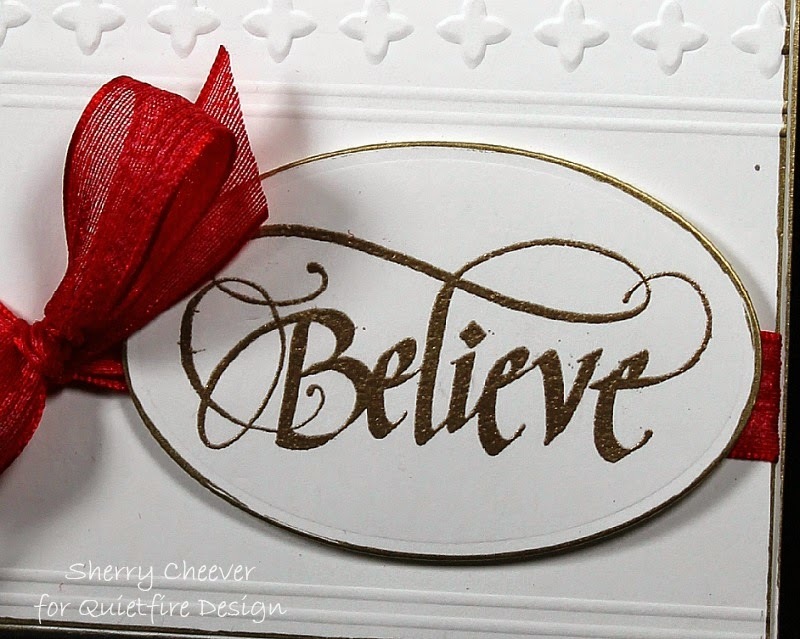 Believe, stamped with VersaMark and embossed with Queen’s Gold Embossing Powder, was die cut/embossed with ovals. 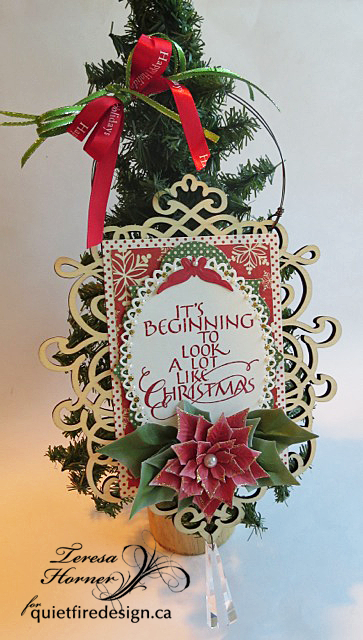 The ornament (Spellbinders S5-223 Heirloom Reflections) was die/cut embossed. Glitter was applied to the center piece of the ornament using a Quickie Glue Pen. Both the sentiment and ornament were raised with foam mounting squares. I guess that’s all I have for today, Thanks for stopping by and joining me! Hi! 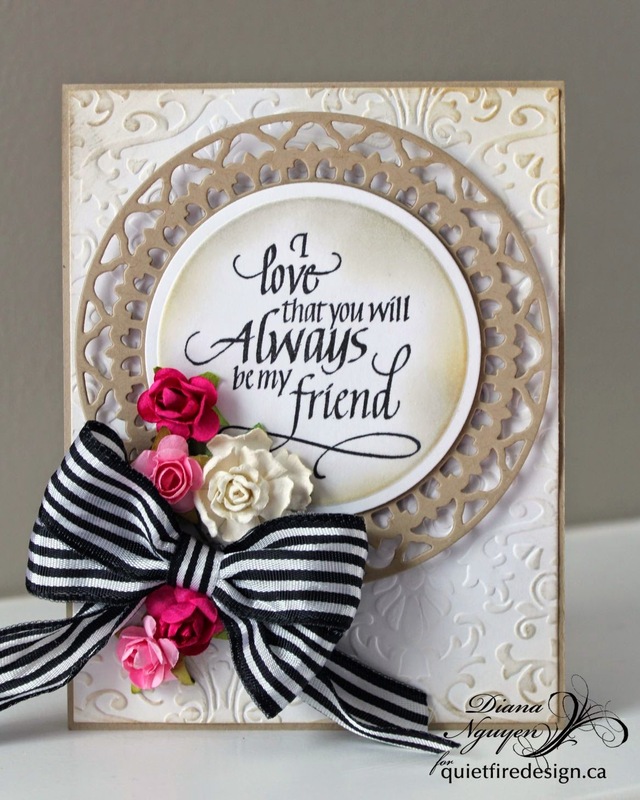 It's Diana here today to share a card on friendship. 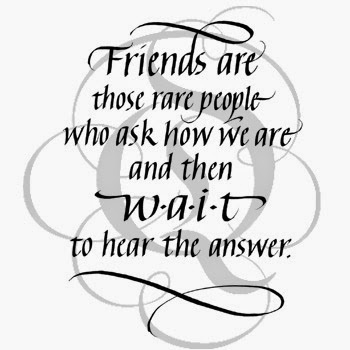 What would we do in life without our friends - especially long time friends who's seen a lot in our lives? 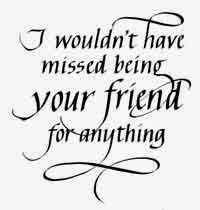 The set Always Be My Friend has some wonderful sentiments to express just that. I wanted a more aged look to go with my sentiment. First I stamped in black ink onto white Neenah card stock and then place my a standard circle die over it. After die-cutting and embossing, I used pumice stone and antique linen distress inks to sponge the edges while it was still in the die. Popped up behind that panel is a die cut of the largest of the Spellbinders Splendid Circles die out of kraft card stock. The base layer is embossed using Darise damask embossing folder and the corners are also sponged using the pumice stone and antique linen distress inks. Finally I added a bold striped ribbon and some flowers in the corner for a pop of color. Hello All! 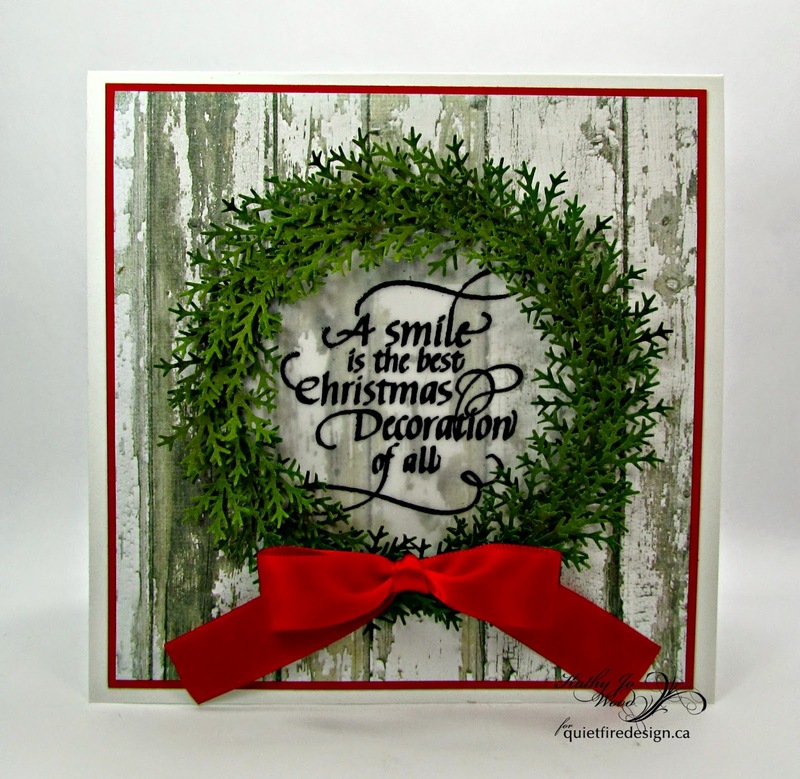 Kathy Jo here sharing a Christmas wreath card using the heart warming Quietfire stamp A Smile is the Best Christmas Decoration. The wreath may look intimidating or time consuming but after you do one you easily get into a wreath making groove and you end up wanting to make several! Create 5 1/2” square tent fold card with white card stock. Cut red card stock to 5 1/8” square. Next, cut a piece of wood grain paper (I used My Mind's Eye) to 5” square. Mount to card front. 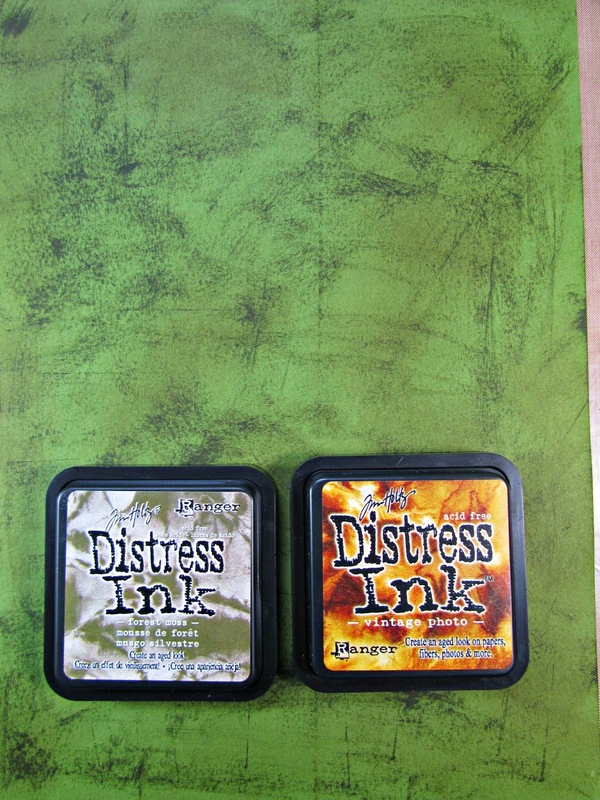 Stamp sentiment onto vellum paper with black pigment ink and heat emboss. Die cut using Spellbinders' Circle die. 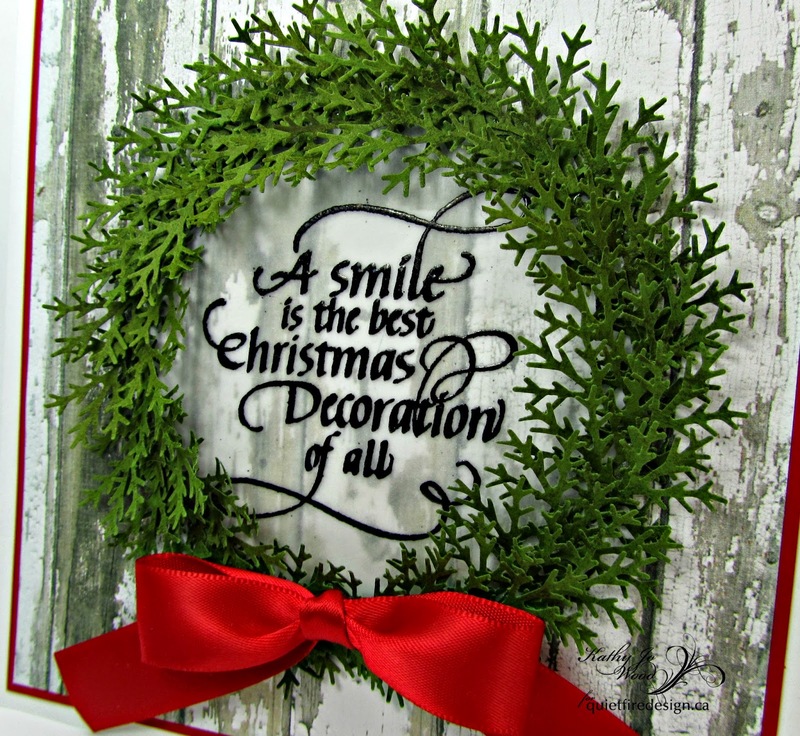 Create bow and glue to bottom of the wreath. You can make the wreath as thick or thin as you would like. My wreaths consisted of many branches so I ended up using one 8.5 x 11 paper for two cards with some scrap left over. Spellbinders is sponsoring another giveaway for us! I've saved this last die set for a special occasion! Because a Spellbinders die always looks so awesome with a Quietfire stamp inside, we're adding to the prize. The winner will also receive I Wouldn't Have Missed Being Your Friend, which I'm pretty sure will look just fine inside this die set! 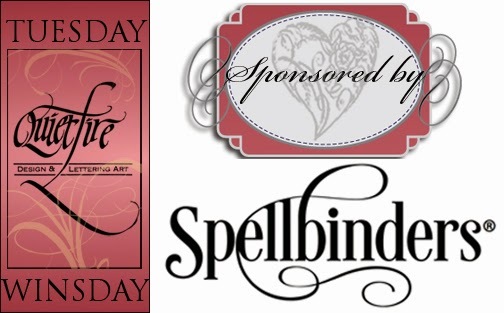 Let's give a big round of applause to Spellbinders for sponsoring our Tuesday Winsday! Follow the Rafflecopter instructions below. Thanks for playing and good luck! Hi Everyone! It's Holly here today, and I want to share one new stamp set, and a variety of ways to use it. I chose this stamp set and got busy! For this card, I stamped the trees in various shades of green distress ink, onto white card stock. Torn pieces of red card stock were attached to the to and bottom of the stamped trees piece, then cut down to 4 x 5 1/4 inches. The piece was embossed using Spellbinders M-Bossibilities. It was matted onto green card stock, then attached to the white card base. 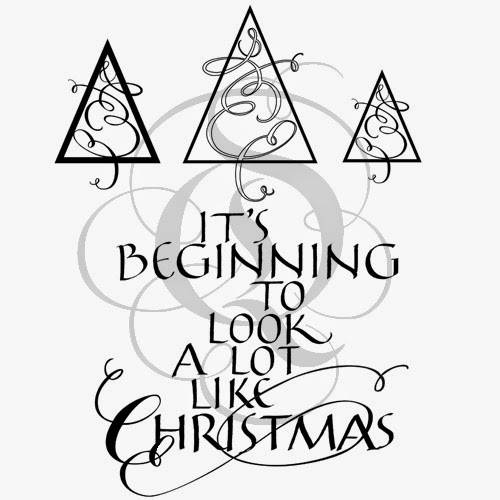 A few trees were stamped in red and cut out, and the sentiment was stamped with jet black archival ink. The bottom edge was torn, then it was attached to the green mat and it was torn as well. Foam tape attached the panel to the card, and the red trees were glued down as shown on the card. A red marker was used to draw a line along three sides of the panel. After embossing the left third of the green card stock panel, I stamped the sentiment, glued on the strip of designer paper, and set it aside. Bo Bunny Silver and Gold Collection provided the design paper used for all of today's projects. I selected three different designs and stamped the small trees with jet black archival ink. 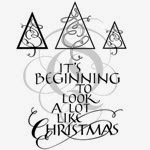 I cut the trees into pennant shapes by cutting straight just outside the line and cutting off the flourishes. Once I decided how I wanted to arrange them, I glued the pennants to linen thread, then glued them to the card. A few pearls from my stash complete the card. I had a few more ideas, and decided to make tags. First up, simple stamping, and a sequin. Stamped and cut out trees in two sizes, to make a tree. Oops- I see my star got bumped a bit. More trees used here for a border and string attachment. The small tree used to stamp a wreath shape. Just a few ideas for you. One stamp set- many ways to use it. How about a five point star? I used the more traditional colours here, but what about blues, purples, silver? Use the pennant and border ideas in different colours and designer paper, for bright and fun birthday and celebration cards. I think you could find many uses for this great stamp set. I wish you all well, and thank you again. 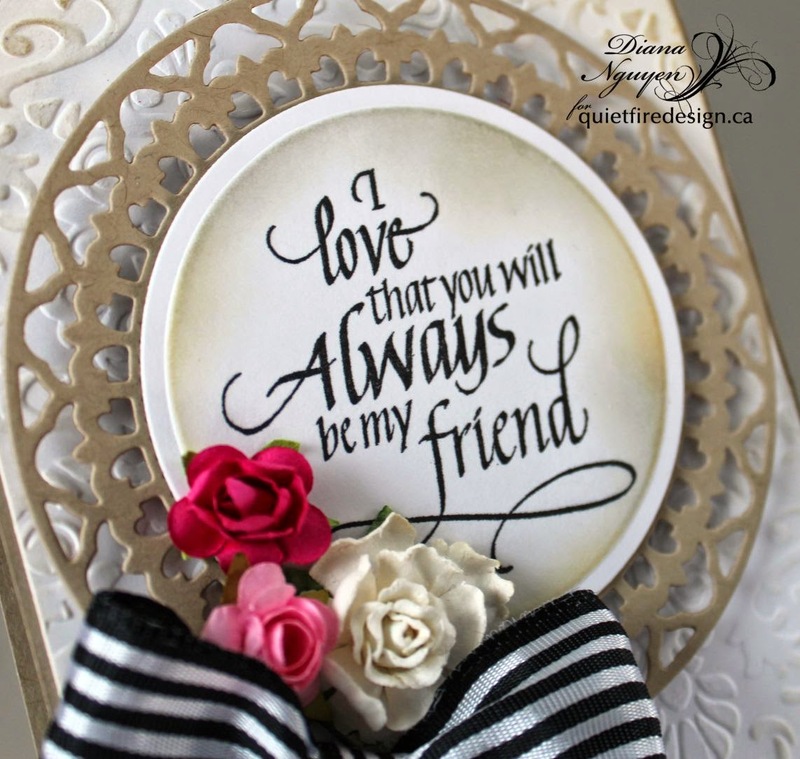 I everyone it's Teresa here today to share a quick friendship card i made. about them and thinking about them too! Thanks so much for stopping by and have a really wonderful day!